activity landscape in Greater Victoria and beyond. Employing a collective impact style model, OneAbility strengthens and improves programs, builds capacity and raises awareness. OneAbility’s vision is to establish Greater Victoria as a leading vibrant Hub for adapted physical activity that optimizes full inclusion for individuals living with disabilities to engage in recreational, developmental and high performance sport. Click HERE to download the OneAbility Webinar Slides. 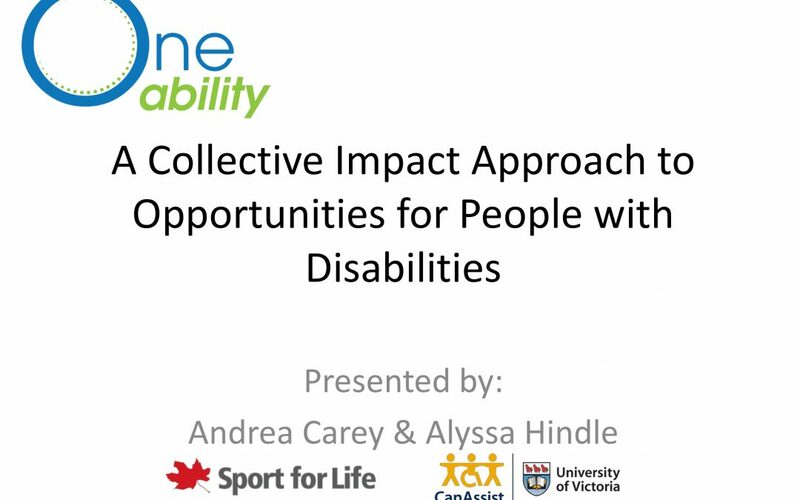 Click HERE to view the OneAbility Webinar.